Ex-policeman Bernie Gunther thought he'd seen everything on the streets of 1930s Berlin - until he turned freelance and he is sucked further into the grisly excesses of Nazi subculture. The year is 1936 and Berlin is preparing for the Olympic Games. Some of Bernie's Jewish friends are beginning to realise that they should have left while they could, and Bernie himself has been hired by a wealthy industrialist to investigate two murders that reach high into the Nazi Party. 1957, Munich. Bernie Gunther's latest move sees him working for an insurance company. 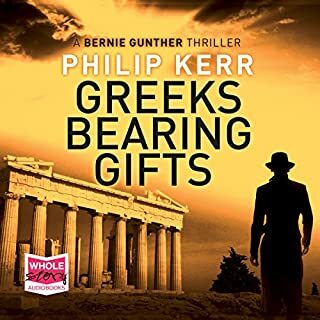 Sent to Athens to investigate a claim from a fellow German for a ship that has sunk, Bernie takes an instant dislike to the claimant. When he discovers the ship in question once belonged to a Greek Jew deported to Auschwitz, he’s convinced the sinking was no accident. Then the claimant is found dead. Bernie is strong-armed into helping the Greek police with their investigation. Who is behind the murder, and why? 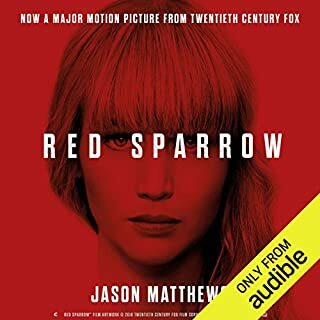 A Russian honey trap agent targets a young CIA operative to uncover a mole at the Russian Intelligence service. Dominika Egorov, is sucked into the heart of Putin's Russia, and spat out as the twists and turns of betrayal and counter-betrayal unravel. American Nate Nash handles the double agent, codenamed MARBLE, considered one of CIA's biggest assets. Will Dominika be able to unmask MARBLE, or will the mission see her faith destroyed in the country she has always passionately defended? Southern fables usually go the other way around. A white woman is killed or harmed in some way, real or imagined, and then, like the moon follows the sun, a black man ends up dead. 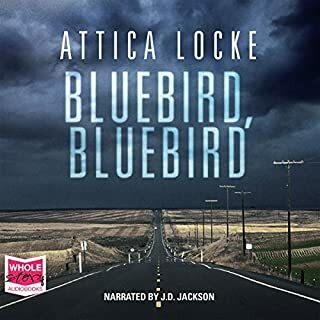 But when it comes to law and order, East Texas plays by its own rules - a fact that Darren Mathews, a black Texas Ranger working the backwoods towns of Highway 59, knows all too well. Deeply ambivalent about his home state, he was the first in his family to get as far away from Texas as he could. Until duty called him home. 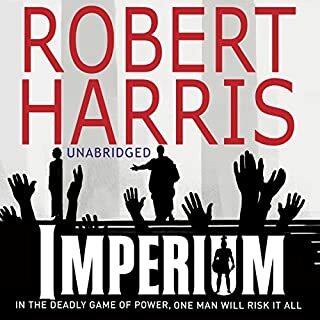 Into the intrigue and violence of Indo-China comes Pyle, a young idealistic American sent to promote democracy through a mysterious 'Third Force'. As his naive optimism starts to cause bloodshed, his friend Fowler finds it hard to stand and watch. 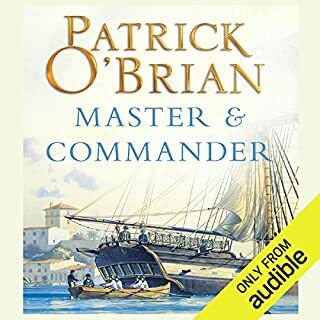 Master and Commander is the first of Patrick O’Brian’s now famous Aubrey-Maturin novels, regarded by many as the greatest series of historical novels ever written. It establishes the friendship between Captain Jack Aubrey RN and Stephen Maturin, who becomes his secretive ship’s surgeon and an intelligence agent. It displays the qualities which have put O’Brian far ahead of any of his competitors. A marvellous insight into the political mind! During a sweltering heat wave in the summer of 1938, the German people anxiously await the outcome of the Munich conference, wondering whether the Fuhrer will plunge Europe into another war. 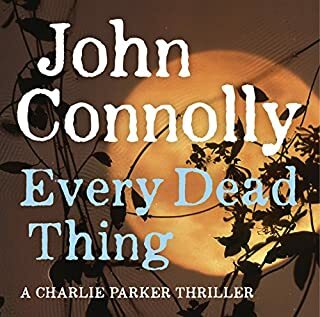 Meanwhile, private investigator Bernie Gunther is hired by a rich widow to find out who has been blackmailing her, as well as by the Berlin criminal police to track down a serial killer. Temporarily promoted to the rank of Kommissar, Gunther sets out to solve the dual mysteries amid the tensions of pre-war. 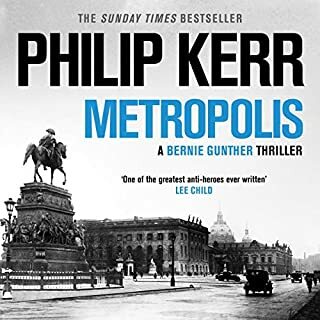 Hard-hitting, fast-paced and richly detailed, Philip Kerr's second Bernie Gunther novel is nothing short of spell-binding. 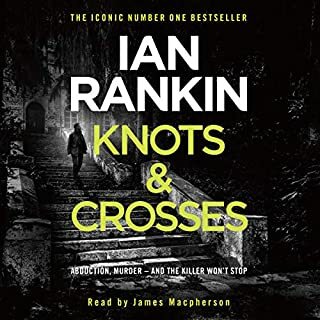 This is the second title in the "Berlin Noir" trilogy. Set in Berlin of 1938, Bernie Gunther is investigating a serial killer specialising in young German girls. Meanwhile, elements of the Nazi party are attempting to use the killings to stir up anti-Jewish rioting. 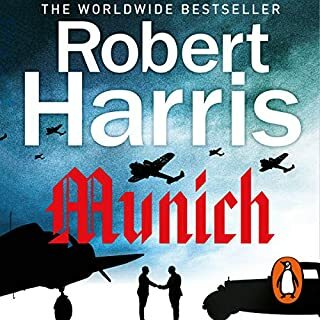 An excellent story, with more interesting detail of Berlin in the 30's and the Nazi threat. My first Phillip Kerr book. I enjoyed the story of the individuals in the setting of a comming Nazi state. Well enjoyed isnt the right word probably fascinating that so many failed to challenge the holocaust and stand up for what was right. But how easy is it to take tha path. Jeff Hardings narration was first class. 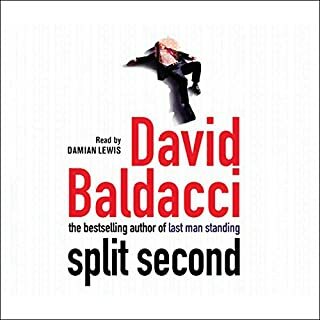 Only problem is from tine to time i felt i was in a Jack Reacher Book because it was Jeff narrating. Wonder if this is why the narrator changes later in the series. 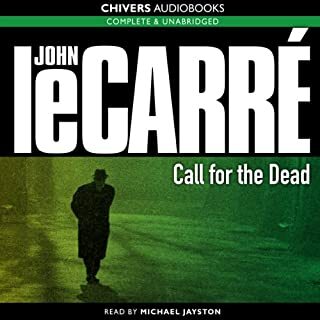 What made the experience of listening to The Pale Criminal the most enjoyable? 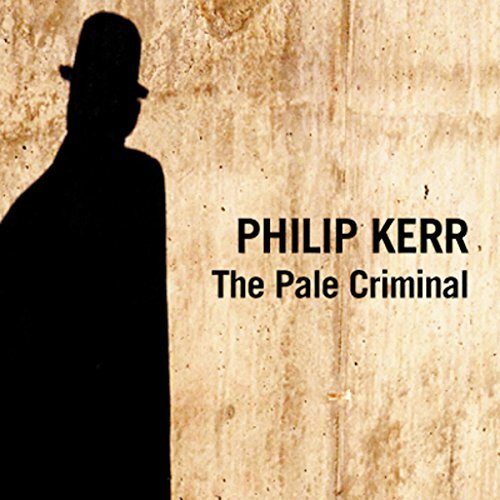 Would you consider the audio edition of The Pale Criminal to be better than the print version? 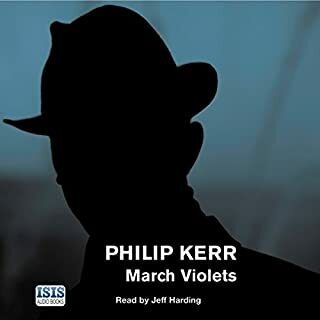 The chance to listen to more of Philip Kerr's books is a pleasure I look forward to. What was one of the most memorable moments of The Pale Criminal? The accuracy of his research and the authenticity he gives to the setting and background events really bring his characters to life. What about Jeff Harding’s performance did you like? Mr Harding's performance truly brings out the dry wit with which Kerr has endowed Bernie Gunther. 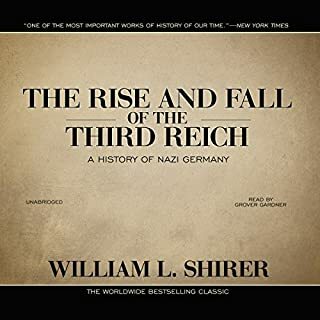 Gunther's cynicism hasn't left him as he is persuaded to serve his new Nazi bosses, but his passion for the truth and justice still shines through. Fascinating to have a detective story set in Nazi Germany. The idea is brilliant, the reading is good without being fantastic but the story is a bit too fantastic at times. But all in all a very good listen. This was an enjoyable detective story and the setting - late nineteen thirties Germany - added to the interest. 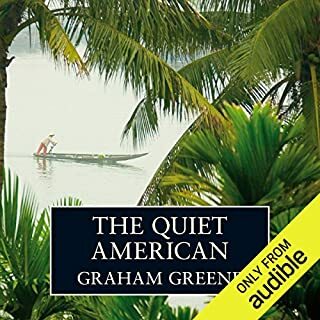 I did however find the hard boiled American narration a wee bit annoying, especially as the narrator made such a good job of the other German characters. I did not know much about Germany before the war. It paints a picture of a country on a downhill slope,where serial killers, thugs and politicians do what they like. 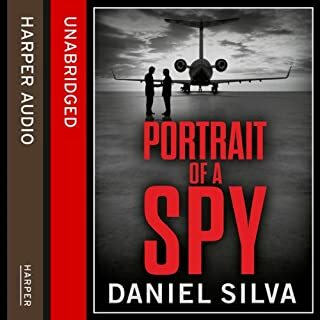 It is a fasinating listen and a great thriller. It kept me listening right to the end. 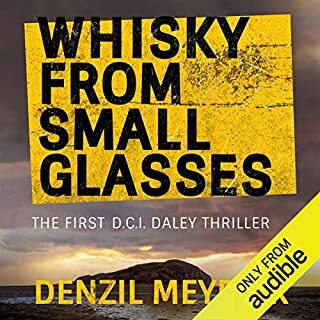 I really enjoy these books and the characters are gritty, real and have plenty of human faults. 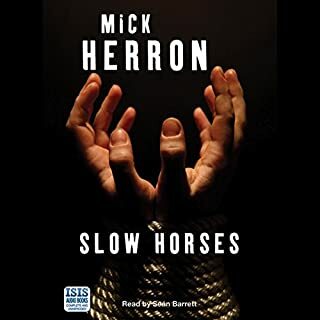 This novel is a 1st rate listen. Another brilliant Philip Kerr novel set in 1930's Germany. 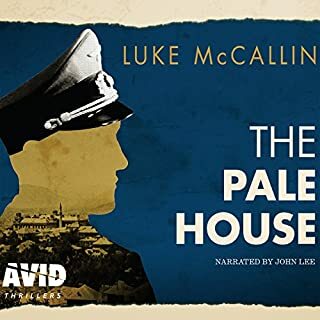 The gripping story of private eye Gunther and his search for the gruesome murderer of several young German girls in the early days of Nazi regime. Read superbly by Jeff Harding captivating voice who brings the novel to life and fires your imagination. I listened to this audio whilst making a quilt.